I wrote the following for our homeowner's association end of summer newsletter. The theme is somewhat all-American, even universal and could be appreciated by many a mother out there. My name is Courtney and I am a self-proclaimed Pool Mom. To be specific, I am a Mid- to Late- Elementary Pool Mom. Not that long ago, I was a Baby Pool Mom and I know in my future lies the role of Beyond Elementary Pool Mom. In my tenure at the pool, I have learned the Lore of the Pool Mom. To the casual observer, a Pool Mom is just a woman at a pool with a large bag full of snacks and spare goggles. But the position is much more complex than just providing snacks and locating mislaid swim accessories. 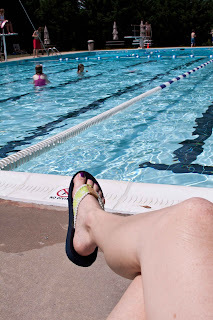 There is a full undercurrent of drama in the role a Pool Mom. The Baby Pool Moms are the hardest working ladies at the pool. Pool Moms of babies, toddlers and preschoolers work tirelessly, protecting their children from the dangers of the Baby Pool ranging from leaky swim diapers to drinking of pool water. These Moms are forever confined to the square boundaries of the Baby Pool fence. They look longing over the fence at the Big Pool, dreaming of the day they too will walk freely amongst the masses, unrestrained by swim diaper accidents and hygiene policies. I know their thoughts because I was one of them not so very long ago. Baby Pool Moms typically graduate to the Big Pool when their child reaches the Early Elementary school age. These ladies work nearly as hard as the Baby Pool Moms, exhaustedly shadowing their child as he enters and exits the pool ad nauseam. Due to the precarious level of the child’s swim skills, these Moms are actually in the water much of time, not this Pool Mom’s favorite place to be. The work of a Pool Mom diminishes as her child ages. 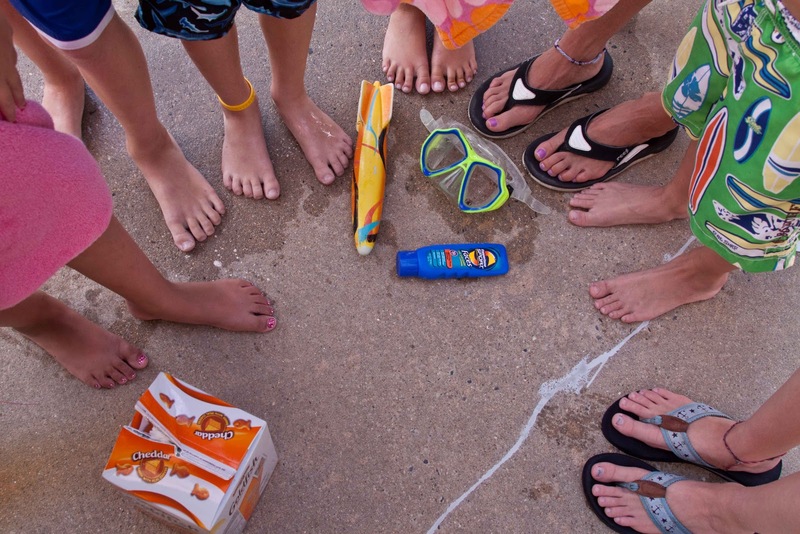 Less time is spent in the water in the Mid-Elementary stage. This stage is more pyschological than physical as the Mom must respond to nearly constant shouts from the pool of, “Mom, look at me! Mom, watch this! Mom, I can touch the bottom! Mom, watch my flip! Mom! Mom! Mom! Maaaaaawwwm!!!! 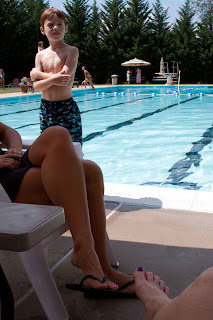 !” These calls cause confusion among Pool Moms as all the calls tend to sound alike, making it difficult to distinguish one’s child from another, forcing the Mid-Elementary Pool Mom into an addled state of constant agitation. I’ve heard a similar technique was effectively used at Guantanamo. The bright light in the Pool Mom’s future is the coveted Late Elementary school years when her work will be limited to 15 minute segments spaced nicely apart on an hourly basis. This 15-minute period is ironically known as “Adult Swim”, a complete misnomer. Few adults enter the pool during Adult Swim. This time is spent by the Late Elementary Pool Mom doling out snacks and reapplying sunscreen to her sundry children. The remaining 45-minute period is spent by the Late-Elementary Pool Mom talking with friends, reading, texting, doing crosswords and, don’t tell, the occasional unintended power nap. I have known some Pool Moms to swim laps. All of these activities are made possible by the Late Elementary child’s maturity, swim skills, abundance of friends and complete lack of interest in their mother – the proverbial cutting of the bikini strings. 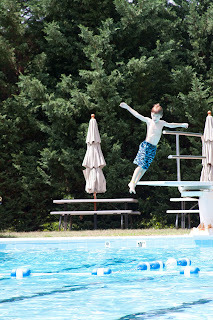 Life is easier, albeit bittersweet, for the Pool Mom at this stage. Lastly, there is the Pool Mom of Middle Schoolers and Beyond. These Pool Moms are an elusive set, infrequently seen at the Pool. This is the Pool Mom’s retirement as she is no longer needed or wanted by her children at the pool. I know this stage is in my future and I’m already sad at the thought. Of course, it must be said that it is the Moms of only children who float through these stages without overlap. Moms of multiple children are at any given time in two or more of these stages. The overlap can cause great consternation and mental and physical exhaustion. 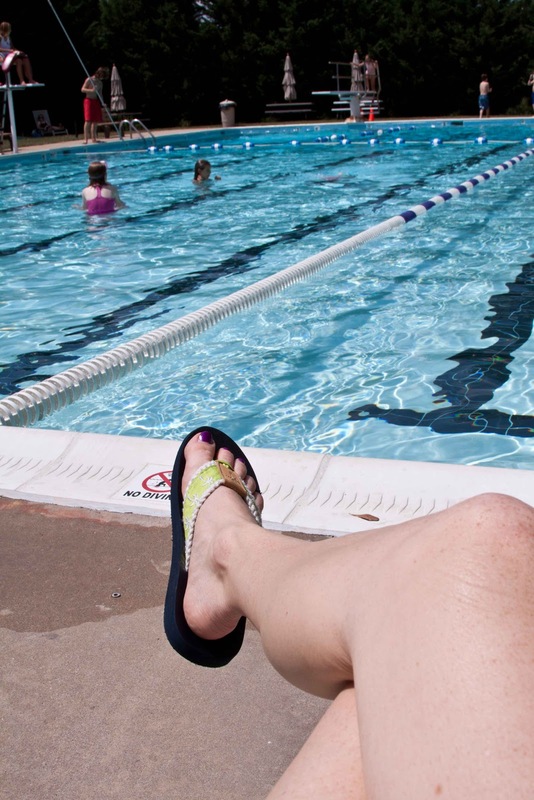 But with the help of Pool Moms in other stages, the overstretched Pool Mom survives to live another summer. Through all the stages, I love our neighborhood pool not just for what it is but for what it is not. 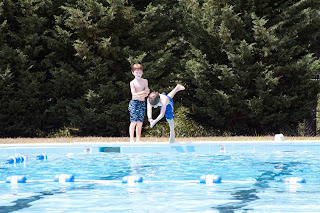 Our pool is a great neighborhood treasure. No, it is not the newest pool in the area. Sure, it doesn’t have all the bells and whistles of a water park style pool. No dumping buckets. No beach-style entry. No fountains. It’s just a big hole filled with water. I love that it still has a diving board, throwing over-reaching liability threats to the wind. In this day of overstimulation and information overload, the lack of other add-ons requires the kids to unplug, be imaginative, play games with other humans, and just swim. They play Marco Polo and Sharks and Minnows. During Adult Swim, they chase each other back the tree line to play Ground and Run-Down. 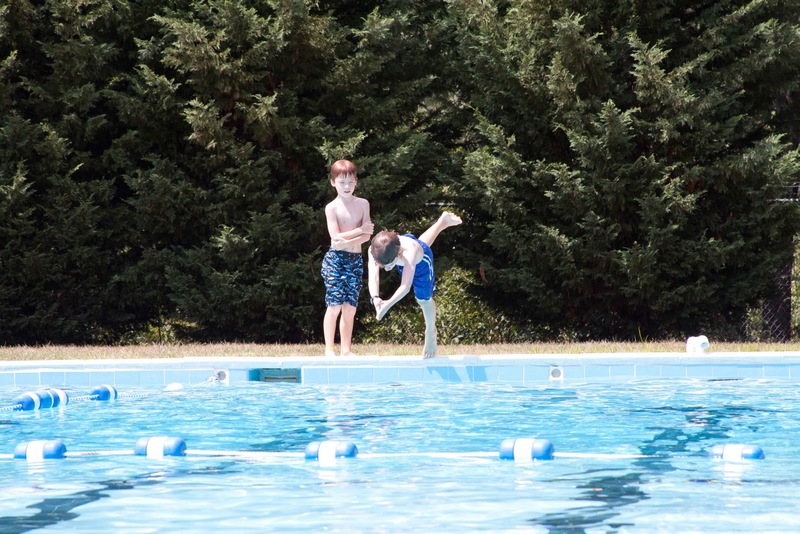 Our neighborhood Pool provides good old-fashioned summer fun and memories that kids and their Pool Moms will cherish forever.